One of America's best known biplanes, the Stearman Kaydet was built in greater quantities than any other known American or European biplane. 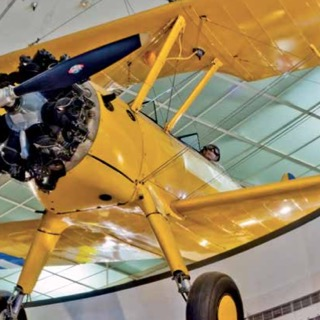 The prototype Stearman was tested by both the Army and the Navy as early as 1934, and by the time the last production model was completed in February 1945, more than 10,000 had been built. In its time, the Spitfire was possibly the best known fighter aircraft in the world. 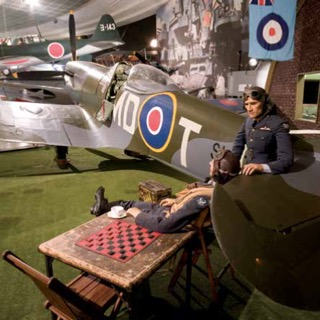 Together with the Hawker Hurricane, it flew into history in 1940 during the Battle of Britain. Its existence is owed to Supermarine's experience in designing and building Schneider Trophy racing seaplanes in the late 1920s, a highly successful collaboration with Rolls-Royce, and its talented designer, Reginald Mitchell.